It is the architectural details that make the Lodges a uniquely beautiful retreat. Nestled near the base of Deer Valley Resort, located one mile from Park City's historic Main Street, this first-class condominium hotel offers 84 hotel rooms, 56 one-bedroom suites, 46 two-bedroom suites and 33 three-bedroom suites furnished in a classic mountain style. 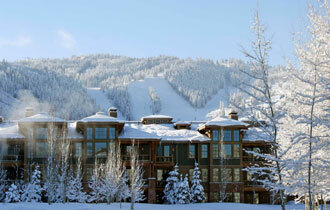 Deer Valley's award-winning food and beverage team provides catering for groups at this conference facility. Over 7,000 square feet of meeting space, divided into seven rooms ranging from 512 to 2,400 square feet, provide a wonderful location for meetings and events. The Brass Tag restaurant and bar offers a perfect setting for post conference gathers. Other amenities include 24-hour front desk and on-site check-in, concierge and bell service, complimentary wireless Internet access in each guest room, ski rental and storage, general store, fitness center, outdoor heated pool and hot tub and underground parking.